Posted on: March 8th, 2018	by Melanie C.
Phil Rizzuto Park is located at Morris Avenue and Trotter’s Lane in Elizabeth in Union County. It is a Union County maintained park. It spans over 10 acres and includes a soccer field, boundless playground, and fitness trail. Parking is available in dedicated parking lots at the park’s perimeter. Get to know this Union County park through our details and pictures below. The park is open until sundown. There are bathrooms located inside a permanent building structure. Phil Rizzuto Park has one covered pavilion with tables beneath. There are tables elsewhere throughout the park and around the playground. Is shade available at the Phil Rizzuto Park? This park has a covered picnic pavilion. There are also trees which provide shade. Smaller children could also play in a dinosaur-shaped tunnel, on stools, and on platforms that provide some shade. 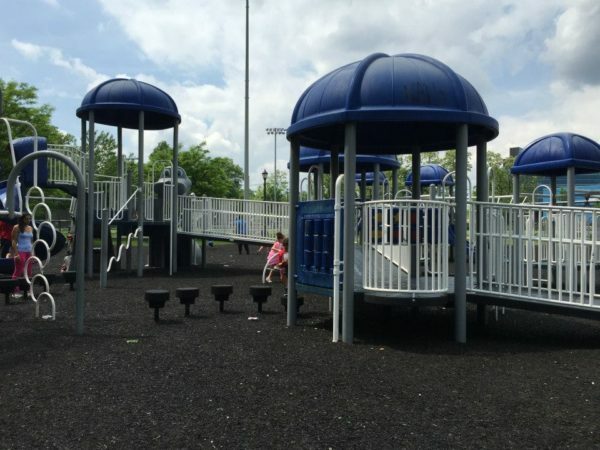 The Phil Rizzuto Park has 1 playground with recycled tire mulch. Other than a paved path around park, there are no trails at this park. There is a turf soccer field at the park. Yankee fans will enjoy being at a park named after a legend and reading the plaque at the front and the baseball and baseball bat statues! The entrance alone makes for some great photo ops! 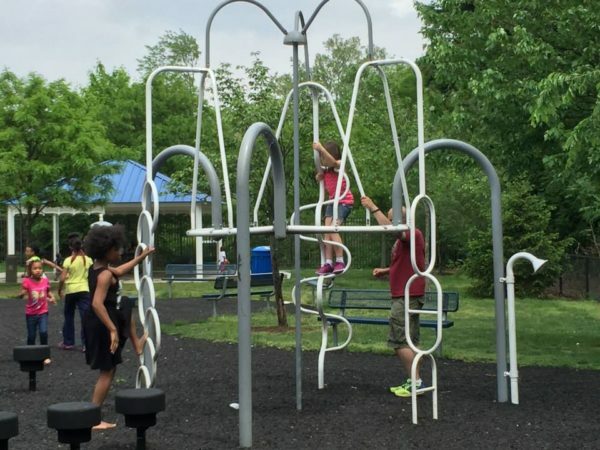 The playground structure suits all different abilities and the round swing is great for multiple kids! It wasn’t on when we visited but there’s a sprinkler there to cool down after a fun day of play. Phil Rizzuto Park has a large soccer field that hosts plenty of local teams, so there’s always something going on. 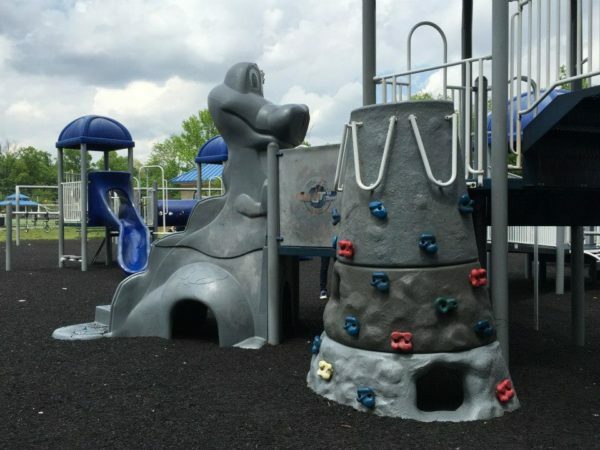 The path offers a fit circuit so while your kids play you can get your exercise. To see more pictures of this park visit this photo album on Facebook. 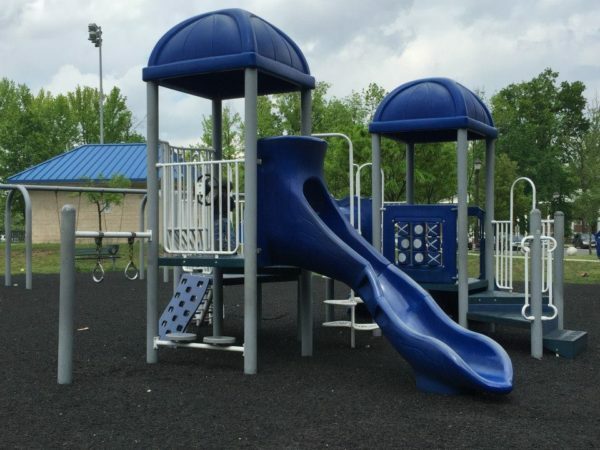 Click over to read more Elizabeth parks (coming soon), Union County parks, or New Jersey Parks & Playgrounds. 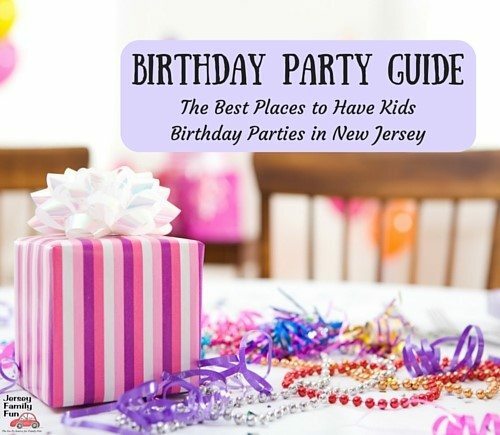 Connect with local families in our North Jersey Families Facebook Community.